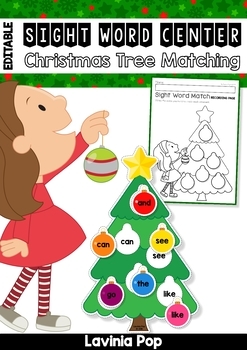 This book contains an editable sight word activity intended for use in centers and small groups with children in Preschool, Kindergarten (Prep) and First Grade. This packet includes a center label that can be printed and placed on the front of your storage device. Also included are “I can” center instructions to help children remember what to do. I have included a recording page to keep track of each child’s work. Once you have edited the file, (see instructions below for help with this) print the pages you wish to use, laminate them for durability and cut out the Christmas trees and ornament word cards. 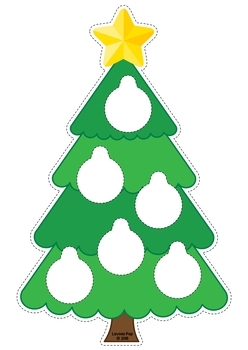 Attach transparent velcro dots to the back of the ornaments and space on the Christmas tree where they will go (optional). 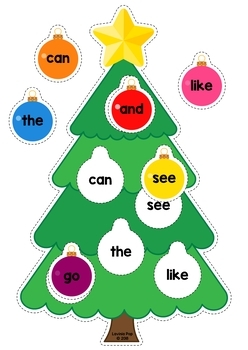 The aim of this activity is for children to match the sight word ornament cards to the correct space on the Christmas tree. 2. If the font KG Blank Space Solid isn’t displaying correctly, you will need to download it from here: https://bit.ly/2FXT2sz. It is free for personal use. 3. Simply type one word on the editable field on each empty ornament space and the words on the colored ornaments will automatically populate. 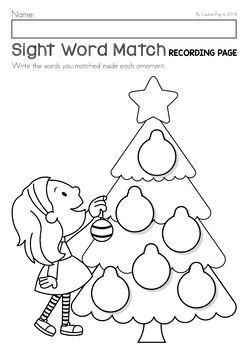 Please click here to view my other EDITABLE sight word activities! Follow me on Facebook for exclusive freebies and giveaways!